Kristi Kelly owns legal marijuana stores in Colorado called Good Meds and has lost 23 bank accounts in five years. Even though medical marijuana is legal in Colorado and 22 other states, it's still illegal on the federal level. And that means banks generally don't want anything to do with pot shops. That creates a slew of headaches for these entrepreneurs, who are often forced to operate all-cash businesses. That is time consuming and costly -- and can be dangerous. But a new credit union formed specifically to serve the marijuana business could be a turning point for the fledgling pot industry. Fourth Corner Credit Union is supported by a group of attorneys, business owners and legalization advocates who see an opportunity where traditional bankers see only potential legal problems. Pending final approval from the Federal Reserve, it could open in January. "It will be much safer than the cash-based operation that exists today," said founding member Mark Mason. "The feds should be thrilled." Here's what it will mean for business owners. They'll be able to have bank accounts: Sometimes a pot business owner is lucky enough to get an account if a bank either turns a blind eye, or doesn't immediately understand the true nature of the business. But it generally doesn't last for long. That's why Kelly eventually turned Good Meds into an all-cash business. They'll save time: Kelly has an entire team dedicated to keeping track of the cash, double and triple checking handwritten ledgers. They have dubbed the entire process "Bank Kristi." It'll be easier to pay employees: A pot business can't issue paychecks without a bank account. At Good Meds, employees have to go to a different location to pick up their wad of cash every payday, count it, and sign off. Their businesses will be safer: Businesses with lots of cash on hand are big targets for criminals. 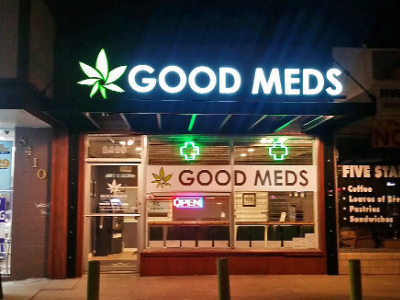 For now, Kelly moves the money out of Good Meds' main location to a more discreet location for the safety of her customers and employees. They'll be able to accept credit cards: This would cut down on the amount of cash a business has to handle. It could also bring transparency to the industry, making it easier for governments to regulate the businesses -- making sure they are not involved with drug cartels, said Michael Elliott, the director of the Marijuana Industry Group. "If it does open, it would be exciting. But ultimately Congress needs to fix this issue," Elliott said.